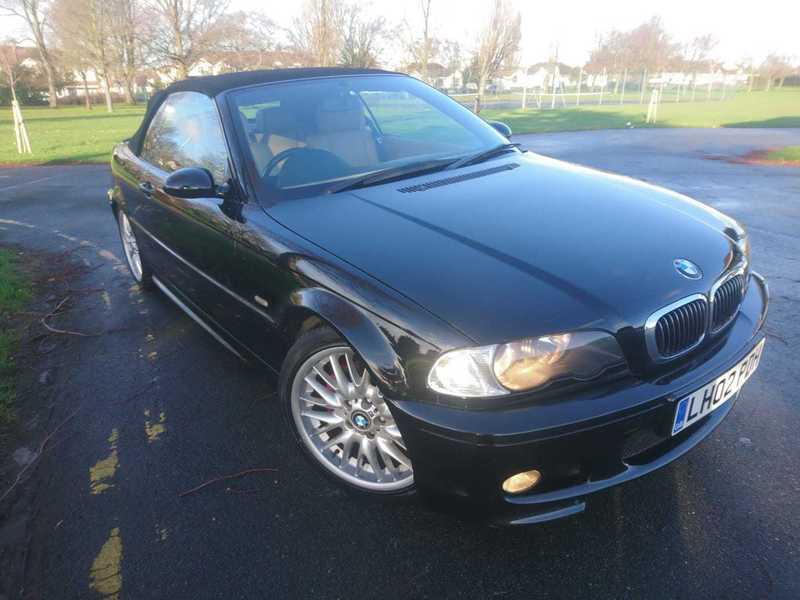 Bringing you this amazing BMW 3 SERIES 325Ci SPORT 2.5 2dr, Convertible, F.S.H, 2002 (02 reg), Convertible, 154,000 miles, Automatic, Petrol. This car comes with LED Lights, Brake Assist, Front Fog Lights, Service History, Keyless Door Locks, Speakers, Body Coloured Bumpers, V5 Registration Document, MOT, Traction Control, Safety Belts Rear, Safety Belts, Radio, Parking Sensors, Leather Seats, ESP, Engine Immobiliser, Electric Mirrors, Electric Adjustable Seats, Cruise Control, CD Multichanger, Catalytic Converter, Cassette Player, Adjustable Steering, Side Impact Airbags, Front Airbags, Power Assisted Steering, Electric Windows, Climate Control, Central Locking, Alloy Wheels, Air Conditioning, ABS. Black.